Happy Monday! 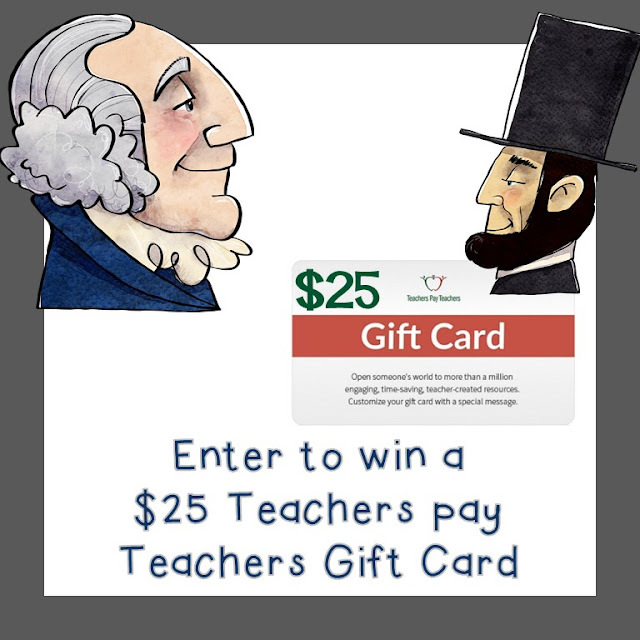 Every week we give away a $25 Teachers pay Teachers gift card thanks to the generosity of some amazing TpT sellers! $25 L. Paull Designs Gift Card Giveaway - Amazing Teacher Shirts! 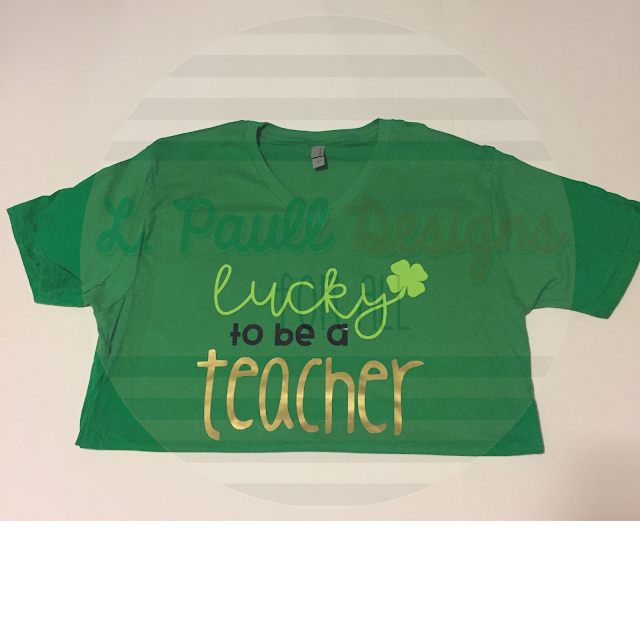 When I saw these amazing teacher shirts from L.Paull Designs, I was in LOVE! 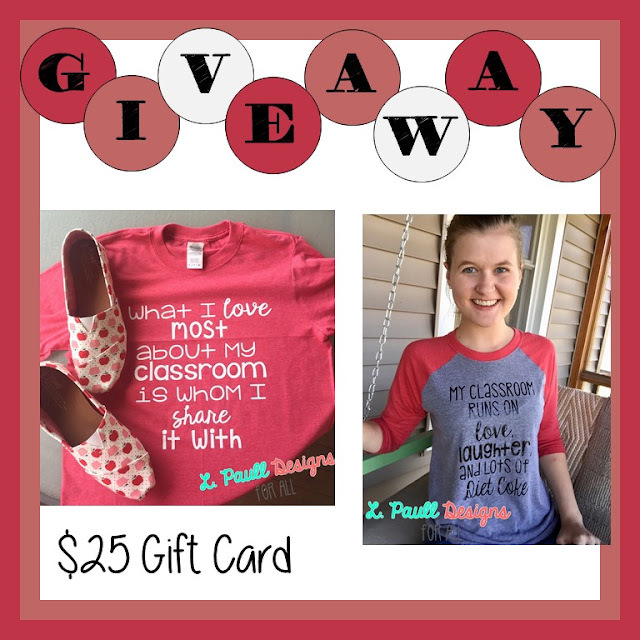 I knew that I wanted to giveaway one of these fabulous designs to one of my favorite teachers (i.e. YOU! ), and I was so excited when Lindsay said, "YES!" Co-hosts: An Apple for the Teacher, L.Paull Designs, Leah Popinski (Sum Math Fun), Second Grade Cuties, Traci Bender - The Bender Bunch, The Literacy Garden, Momma with a Teaching Mission, MM Bilingual, and Simone. Rules: Use the Rafflecopter to enter. Giveaway ends 3/1/17 and is open in the US only. I absolutely love Scholastic! From their book orders to their warehouse sales, what's not to love? 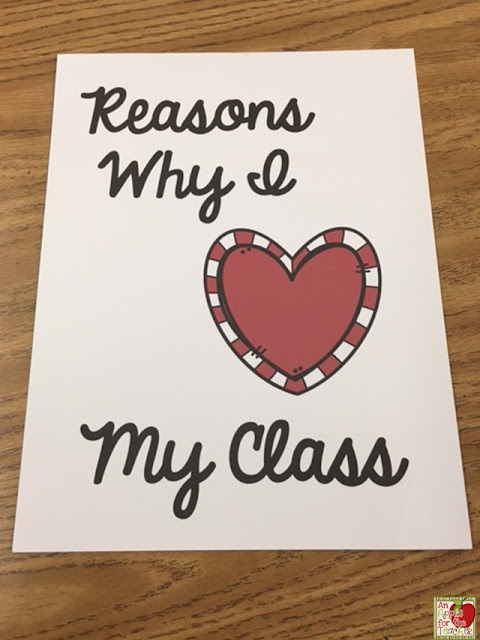 The one thing I wasn't 100% sure about was their printables site. As a general practice, I don't use a lot of worksheets in my classroom, so I wasn't sure it would be worthwhile to me. Boy was I wrong! I was asked to try out their resources for a year to see what I think, and (THE BEST PART) to host a giveaway to give one of my lucky readers an opportunity to try them out for a year as well! Since subscribing, I have checked out many items from language arts to math to art lessons. I have been very impressed! Not only has it saved me time in my own lesson planning, but it has also come in handy for sub plans! 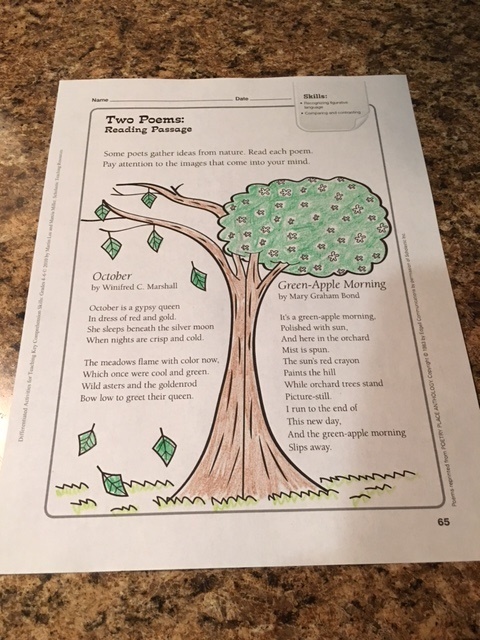 One lesson I really loved was this lesson on comparing two poems. I chose this lesson to help my students prepare for our upcoming SBAC assessments. 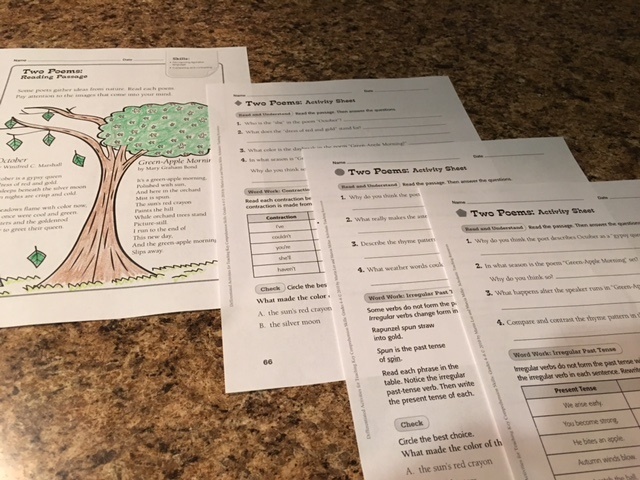 Students use two poems filled with figurative language to explore seasonal changes, and complete critical thinking and word work questions. Best of all, this resource includes step-by-step instructions for 3 levels of differentiated instruction. You can sample this lesson plan yourself here. 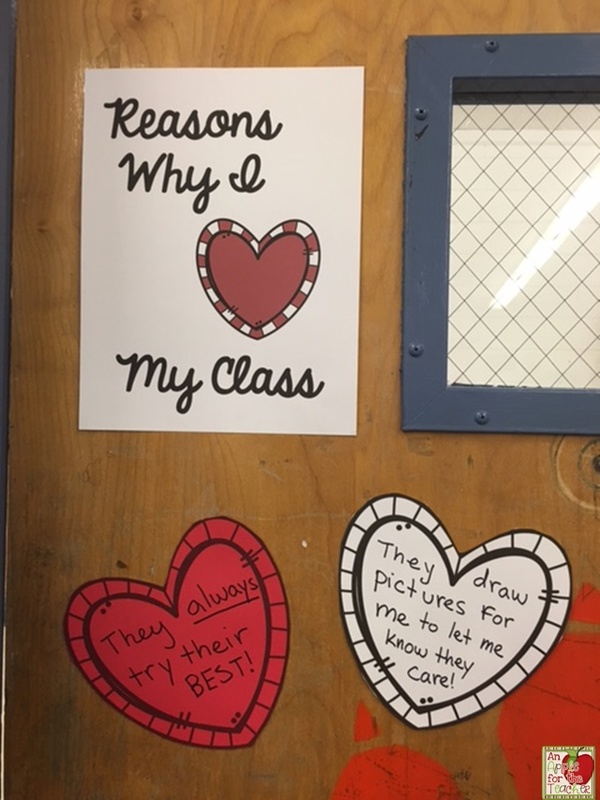 Notice how it is so much more than just a worksheet! It includes lesson plans, ideas for differentiation, comprehension strategies, vocabulary strategies, and more! 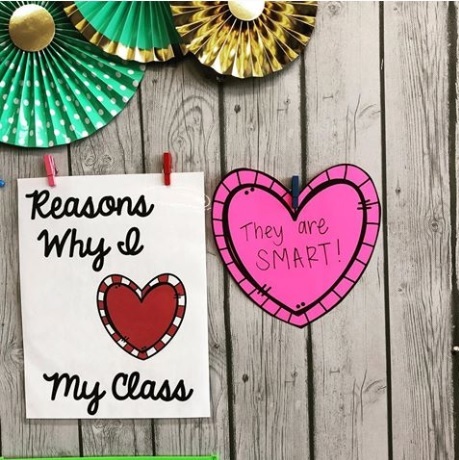 Scholastic Printables gives you instant, unlimited access to thousands of skill sheets, activities, lesson plans and more. 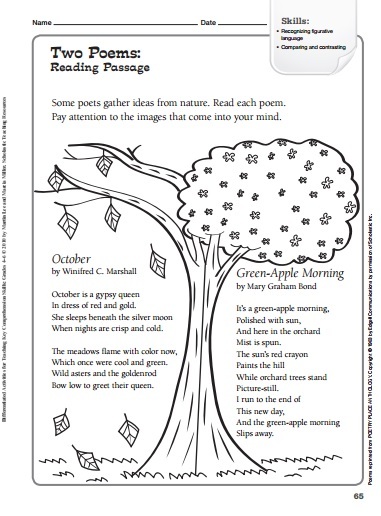 These classroom resources are created by teachers and vetted by your trusted friends at Scholastic. Save time and money, and browse with confidence. To start your free trial, please click here. I am teaming up with Scholastic to give away a free 1-year subscription to Scholastic Printables! Prize: One (1) winner will receive a 1-year subscription to Scholastic Printables. Rules: Use the Rafflecopter to enter. Giveaway ends 2/28/16 and is open worldwide. This post was sponsored by Scholastic. I have partnered with Scholastic to host this giveaway. 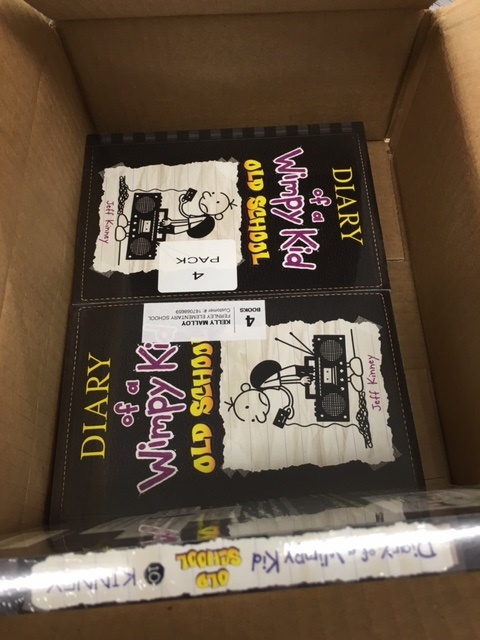 Prizing and sample subscription provided by Scholastic. All opinions are my own. 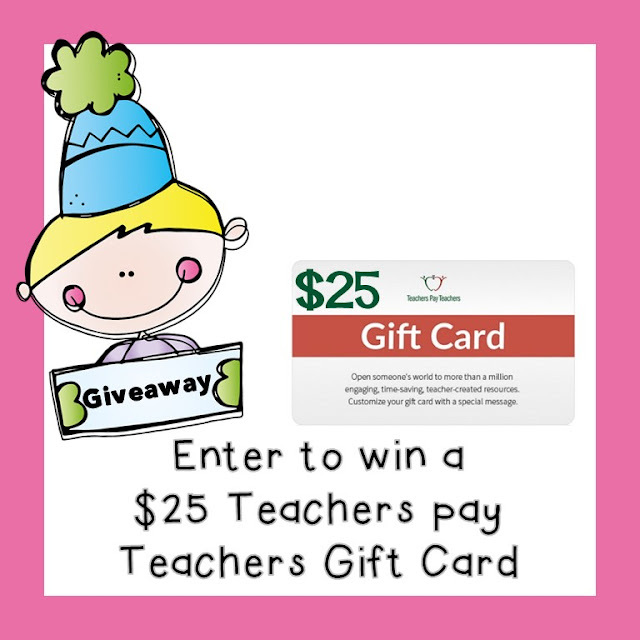 Every week we give away a $25 Teachers pay Teachers gift card to one of our lucky readers! Enter to win using the Rafflecopter below! 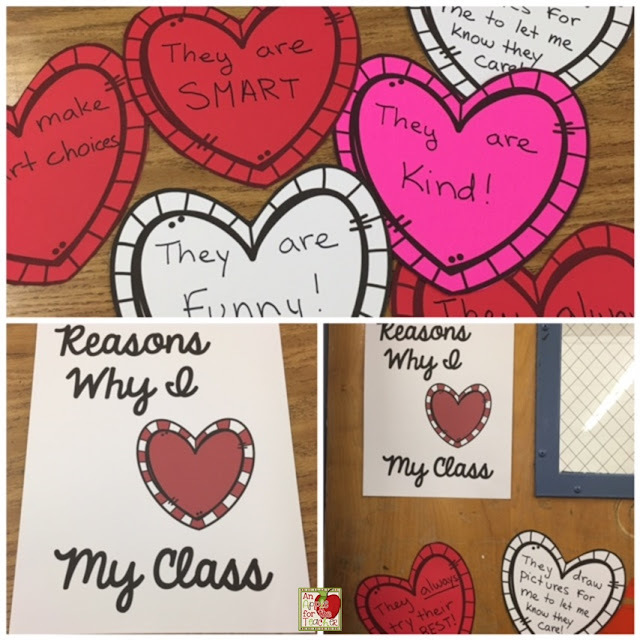 Co-hosts: An Apple for the Teacher, It's a Teacher Thing, Calling All Ducklings, kelseynhayes, Science from the South, Classroom Cheer by Emily, and Jewel's School Gems. Rules: Use the Rafflecopter to enter. Giveaway ends 2/27/17 and is open worldwide. 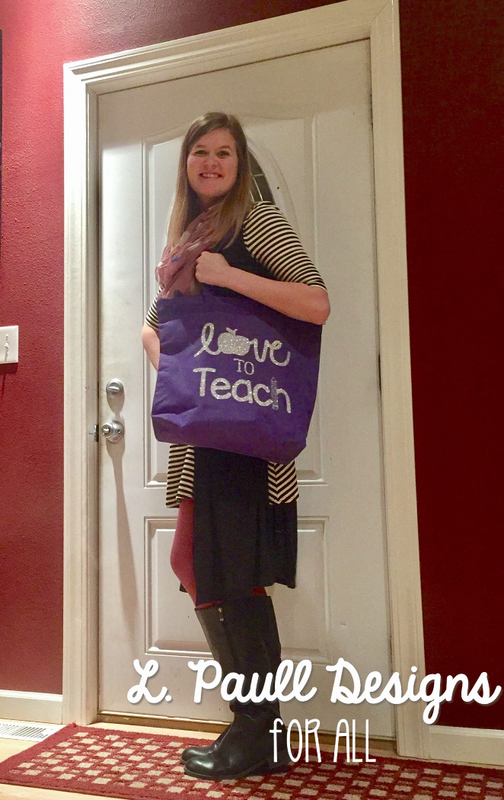 In honor of Valentine's Day, some of my blogging buddies and I have gotten together to give away teaching supplies that we LOVE! Check out all of our favorites and scroll down to enter to win ALL of them! Co-hosts: An Apple for the Teacher, Third Grade Giggles, Teaching Superkids, Sliding into 1st, Katie Roltgen, Just Ask Judy, Traci Bender - The Bender Bunch, Pam's Place, Teach with Hope, Carla Hoff, Tried and True Teaching Tools, Leah Popinski, The Chocolate Teacher, Teacher Gameroom, It's a Teacher Thing, The Corriganite Nation, La-Nette Mark, Debora Marines TeachMagically, Teacher Mama School, The Craft of Teaching, Stephanie Rye-Forever in Fifth Grade, and Jackie Crews. Reasons Why I Love My Class - Freebie! I wanted to do a little something special for my class this Valentine's Day, so when one of my friends posted this Valentine Heart Attack post from Skip to My Lou on Facebook, I knew I wanted to adapt it for the classroom. I wanted to share with my students all of the Reasons Why I Love My Class! They always try their best. On February 1st, I hung up the Reasons Why I Love My Class sign and the first heart. Today, I hung up the second heart. 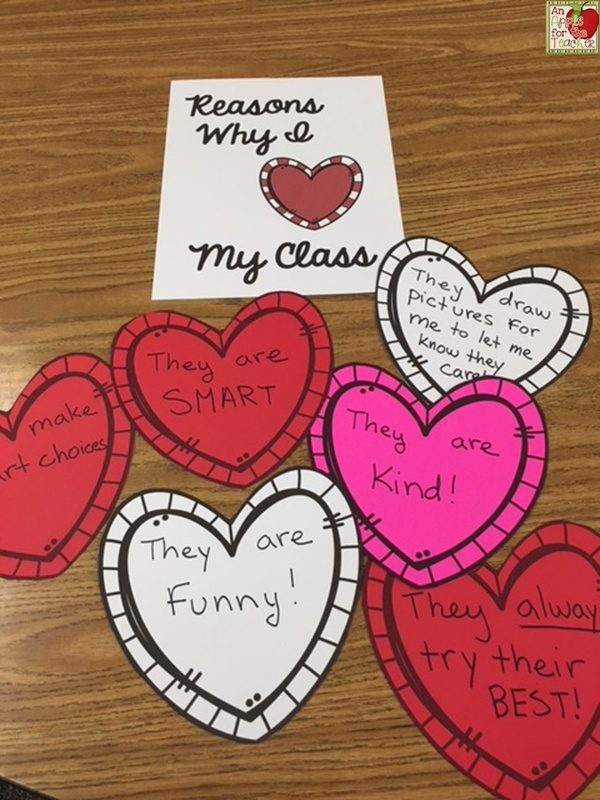 My students were racing to the door to read what the new heart said. I have made a freebie for you just in case you wanted to try this project out with your own students. You can download it here. 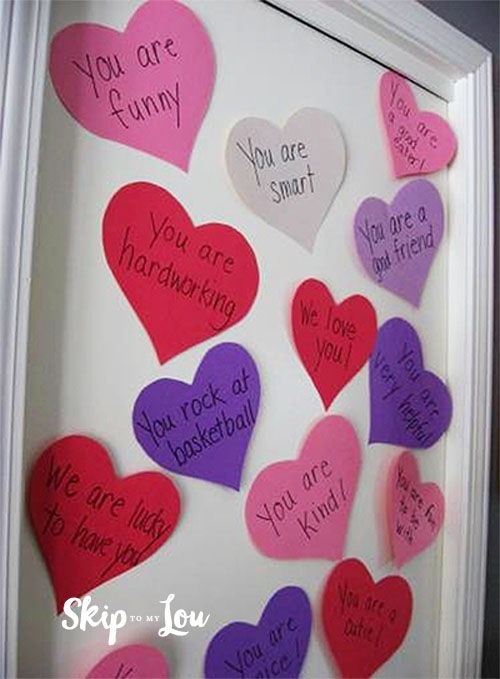 You can start a few days late and add hearts as you go, or put up the whole display on Valentine's Day instead. This display is from 3rd in the City - I LOVE how she displayed in on a clothesline bulletin board! 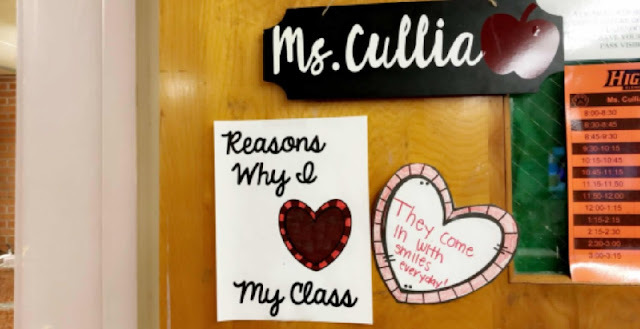 I love the first reason Ms. Cullia shared with her Pre-K kiddos - "They come in with smiles everyday!"